Home / $18.2 trillion in debt. Now that gay marriage is resolved, can we focus on this? It’s time for change. 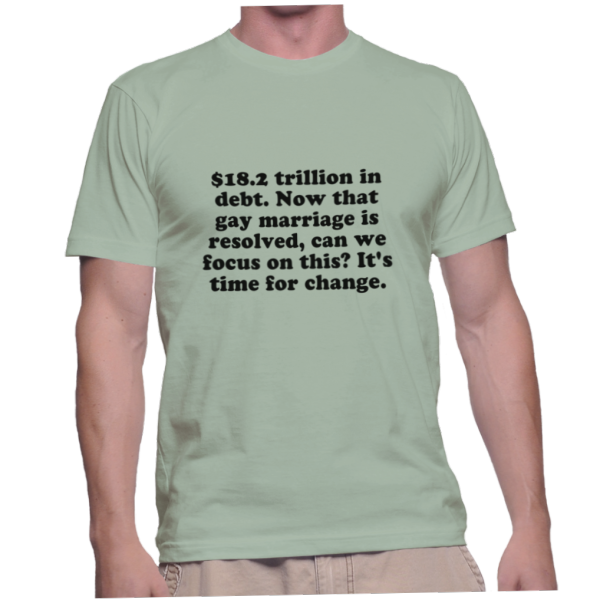 $18.2 trillion in debt. Now that gay marriage is resolved, can we focus on this? It’s time for change.